The best sugar cookies are like a shortbread cookie to me. Buttery, crisp and of course are homemade. 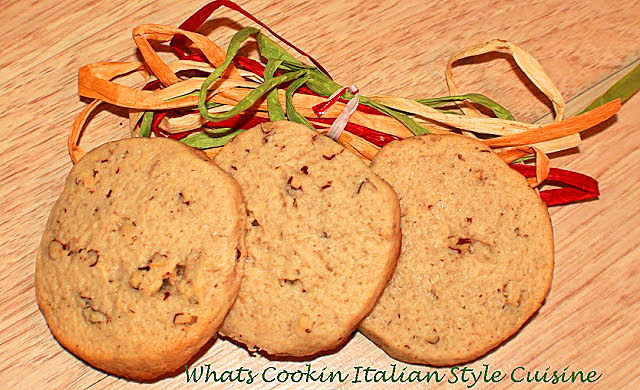 I love the ease of these cookies as they come together perfectly every time and everyone asks for them throughout the year not just a Holiday cookie. The flavors all meld together perfectly. In a large mixing bowl using a flat beater, beat the sugar and butter together until light around 3 minutes. Add the vanilla and almond extract and combine will blended. Slowly add the flour, pecans and milk until it just forms a ball starting out with just 2 tablespoons milk. Add the other if needed depending on altitudes you may need a few teaspoons more. Dough should just form together. 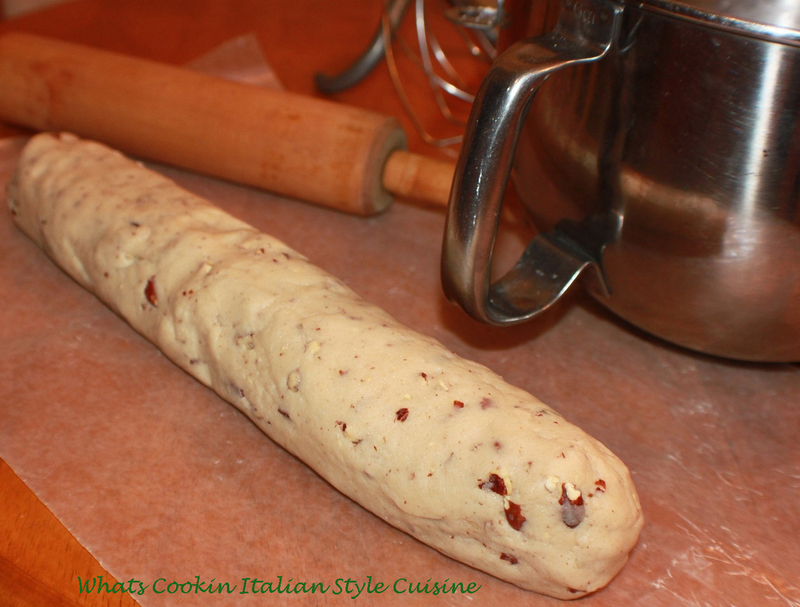 Place the dough on wax paper to form a long log and refrigerate for at least 30 minutes. Slice cookies around 1/2 inch thick or you can roll them and cut them with a fluted edge cookie cutter if you like then place on parchment paper. You can even roll the edges in course sugar if you like. Bake at 350 for around 20 minutes or until edges are lightly brown.